Silvana joined The Bell Foundation as Programme Quality Manager in 2014. She holds an MA in Teacher Education, is PGCE and Delta qualified and has trained teachers all over the world. 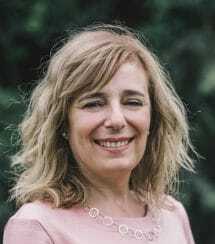 She is a regular guest speaker at events such as IATEFL and a regular author for Cambridge English Teacher. Silvana is also Head of Teacher Development at Bell and has worked in English language teaching for over 25 years.